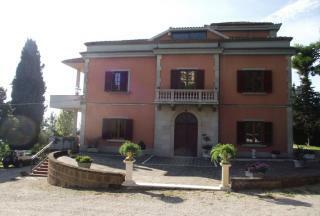 AMAZING, SPACIOUS HISTORICAL DWELLING, which can be DIVIDED into THREE SELF-CONTAINED APARTMENTS for RENTAL POTENTIAL. The property is in TRADITIONAL STYLE and much has already been RESTORED. It comes with TERRACES, GARDEN, GARAGE and STUNNING VIEWS. 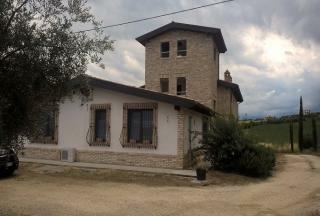 WONDERFUL PROPERTY for someone who would like to HOST GUESTS in their own AGRITURISMO, close to the lively, HISTORIC, TOWN of PENNE. There are TWELVE BEDROOMS, FOURTEEN BATHROOMS and RESTAURANT. The house BENEFITS from a POOL, FOOTBALL PITCH and LAND. It is EQUIDISTANT from the COAST and MOUNTAINS. 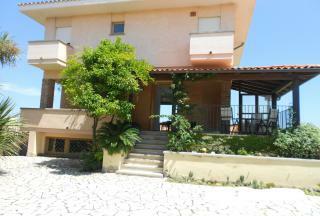 Rarely available FOUR BEDROOM, SEA FRONT VILLA in FRANCAVILLA AL MARE, close to SHOPS, BARS and RESTAURANTS. It has a LARGE TERRACE, overlooking the sandy BEACH, and a GARDEN with PALM TREES and MEDITERRANEAN PLANTS. LUXURIOUS, SIX BEDROOM VILLA located in a PANORAMIC POSITION overlooking the RESORT of FRANCAVILLA AL MARE and the ADRIATIC. 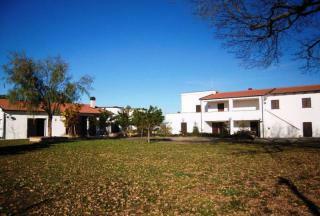 The property boasts BALCONIES, TERRACE, TENNIS COURT and TWO HECTARES of LAND with OLIVE TREES and SWIMMING POOL. 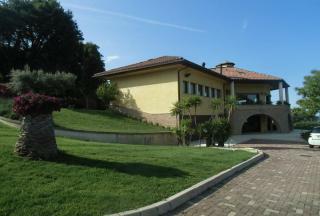 WONDERFUL, FIVE BEDROOM VILLA located in the thriving RESORT of FRANCAVILLA AL MARE. It comes with large GARDEN, SWIMMING POOL and SEA VIEWS. The property is FINISHED to a HIGH STANDARD. STUNNING VILLA located in the AREA of SPOLTORE close to the AIRPORT and COASTAL RESORTS. It has FIVE BEDROOMS and plenty of indoor and outdoor SPACE for ENTERTAINING. The property also comes with a LARGE TERRACE and SWIMMING POOL. BEAUTIFUL VILLA with OLIVE GROVE, located on a hill overlooking the ADRIATIC RESORT of Montesilvano and only TWO KILOMETRES from the OLD TOWN. It would be a great FAMILY HOME or would easily CONVERT into FOUR EXCLUSIVE APARTMENTS. WORKING FARM with TWO RESIDENTIAL BUILDINGS and an ANNEX which is currently used for the AGRICULTURAL SIDE of the BUSINESS. It provides an OPPORTUNITY for someone looking to EMBARK on a NEW LIFESTYLE or move to a DIFFERENT COUNTRY/REGION to carry out their FARMING ACTIVITIES. 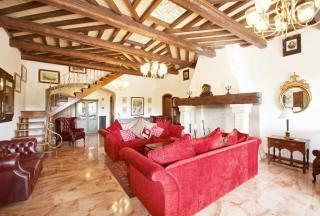 LARGE, BEAUTIFUL VILLA combining TRADITIONAL and MODERN FEATURES. 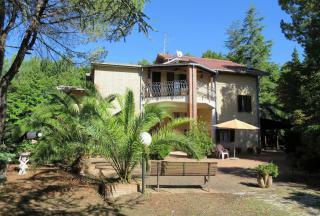 The property is CLOSE to the COAST, has an INDEPENDENT GUEST HOUSE, SWIMMING POOL, GARDEN, TERRACES and LOVELY VIEWS. HIGHLY RECOMMENDED. 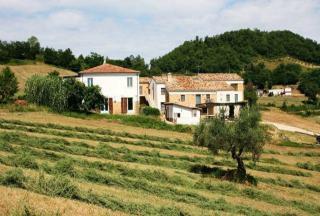 An unusual opportunity to purchase an AGRITURISMO FARM PROJECT with 22 hectares of LAND. It has APPROVAL for the farm buildings to eventually sleep up to 30 people, although it currently has capacity for 6. A very INTERESTING BUSINESS. 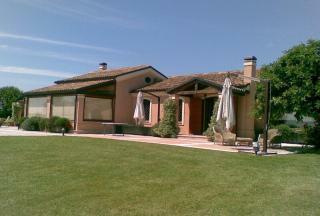 LARGE, LUXURY, FOUR BEDROOM, VILLA with both VINEYARD and OLIVE GROVE. It is in a WONDERFUL POSITION, just 20 MINUTES from the COAST. There is an ATTIC and ANNEXE to COMPLETE for EXTRA LIVING SPACE. The property comes with GARDEN, TERRACES, BALCONIES and VIEWS. 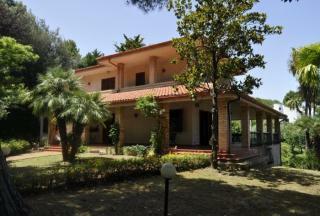 PALATIAL, FOUR BEDROOM VILLA set amongst the PESCARA HILLS. 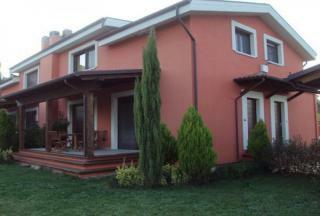 It is in an GOOD LOCATION, with EASY ACCESS to the MOUNTAINS, ADRIATIC COAST and ANCIENT HILLTOP VILLAGES. Internally it benefits from all MODERN CONVENIENCES and has BALCONIES, GARAGE, GARDENS, VIEWS and LAND. FIVE BEDROOM COUNTRY HOUSE set in 11,000 SQUARE METRES of LAND. It has a SWIMMING POOL, BALCONY, TERRACES and MOUNTAIN VIEWS. In addition to the CHARMING HOUSE there is plenty of OUTSIDE SPACE for AL FRESCO LIVING and DINING. 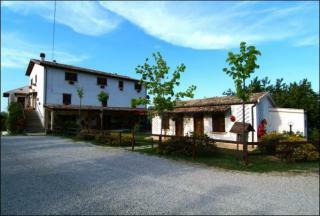 A magical FAMILY HOME, perfect for enjoying the ABRUZZO SUNSHINE. 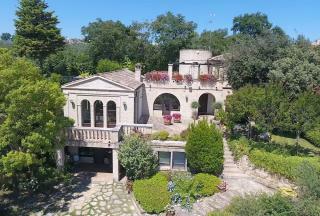 PRESTIGIOUS, LARGE, VILLA located in a stunning position OVERLOOKING PESCARA TOWN and the BLUE SEAS of the ADRIATIC. It has FIVE BEDROOMS, BALCONIES, TERRACES, GARAGE, GARDEN and SWIMMING POOL. 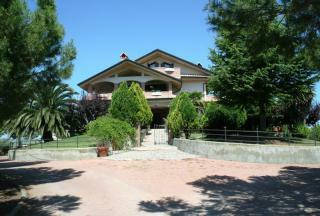 STUNNING, SIX BEDROOM VILLA near the DELIGHTFUL, ADRIATIC RESORT of FRANCAVILLA AL MARE. The property can be used as a SPACIOUS RESIDENTIAL HOME and has BEAUTIFUL GARDENS and SWIMMING POOL. HIGHLY RECOMMENDED. STUNNING, THREE BEDROOM VILLA with LARGE GARDEN and SWIMMING POOL. 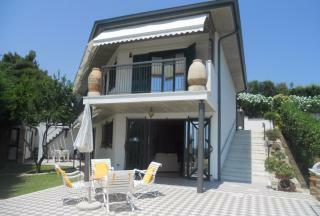 It is LOCATED just 3 KM from the BEACH RESORT of GIULIANOVA. There is an ANNEX and even a SOCCER FIELD. The property is in IMMACULATE ORDER and is PERFECT for ENTERTAINING. STYLISH VILLA, originally built to HOST MANAGEMENT SEMINARS. It is located in TORREVECCHIA TEATINA, a small COUNTRYSIDE VILLAGE. The property will READILY CONVERT into a LUXURIOUS HOME. it has a TERRACE, GARDEN, STUNNING VIEWS and COMES PARTLY FURNISHED. FOUR BEDROOM VILLA in the delightful RESORT of FRANCAVILLA AL MARE. It has DIRECT BEACH ACCESS as well as BALCONIES and TERRACE overlooking the GOLDEN SANDS. It comes with a PRIVATE GARDEN and is within WALKING DISTANCE of SHOPS, RESTAURANTS, BARS and LIDOS. Recommended! ELEGANT, FOUR BEDROOM VILLA which has been RESTORED to MAINTAIN and HIGHLIGHT, TRADITIONAL FEATURES. 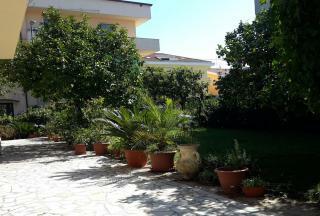 The property has COVERED PARKING, FENCED GARDEN with SWIMMING POOL, FRUIT and OLIVE TREES, ANNEX and TERRACE with VIEWS. The villa is just 2 KM from the OLD TOWN and 5 KM from the FABULOUS BEACH. 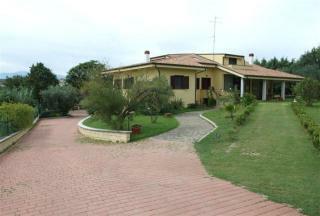 LOVELY, THREE BEDROOM VILLA located in the HILLS of FRANCAVILLA, only 5 MINUTES from the ADRIATIC COAST and the town of PESCARA, with all its FACILITIES. The property comes with 2.5 HECTARES of LAND and a ROOFTOP SOLARIUM with SEA VIEWS. Perfect for a PRIVATE RESIDENCE or RENTAL BUSINESS. ESTABLISHED, SUCCESSFUL, HOLIDAY RENTAL BUSINESS which has EIGHT INDEPENDENT SUITES, all with COOKING FACILITIES. Each apartment ACCOMMODATES TWO ADULTS and has a LARGE BALCONY with SPECTACULAR MOUNTAIN VIEWS. TWO SUITES have SOFA BEDS which can also SLEEP TWO CHILDREN. There are LOVELY GARDENS. An OLD HUNTING LODGE which has been RESTORED and recently used as a RESTAURANT. The Agriturismo “NIDO dei CALANCHI” is located in a TRANQUIL POSITION, on its own on a hill, surrounded only by fields and olive trees. It consists of 3 APARTMENTS and 1 STUDIO FLAT, all furnished to a HIGH STANDARD. LARGE SIX BEDROOM VILLA, currently divided into THREE APARTMENTS. It has a GARDEN and SWIMMING POOL, ideal for a B&B or RENTAL BUSINESS. 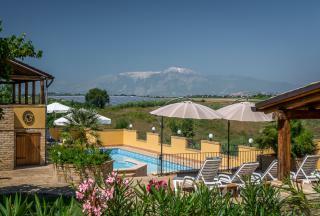 The property is just 5 MINUTES from the ADRIATIC COAST with all its ATTRACTIONS and RESTAURANTS. MARVELLOUS VILLA located in a TRANQUIL and BEAUTIFUL place. It comes with SIX BEDROOMS, AIR-CONDITIONED GYM, LAND and ANNEX. An INTERESTING property with POTENTIAL for many uses. SUPERBLY, RESTORED property consisting of TWO HOUSES and ADDITIONAL BUILDINGS providing GOOD RENTAL POTENTIAL. There are SEVEN BEDROOMS and the properties BENEFIT from TRADITIONAL FEATURES, GARAGE, TERRACES, MANICURED GARDENS, SWIMMING POOL and FANTASTIC VIEWS. Very CLOSE to the ADRIATIC COAST. 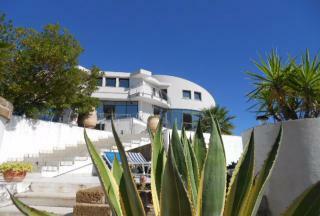 LARGE, FIVE BEDROOM, VILLA OVERLOOKING the ADRIATIC SEA and with a STUNNING VIEW of the MAIELLA. The VILLA has MANY DESIRABLE FEATURES including SPACIOUS ACCOMMODATION, HIGH QUALITY FURNISHINGS, BALCONY, TERRACE, GARDEN, SOLAR ENERGY and SECURITY. SHORT DRIVE to the BEACH, AMENITIES and AIRPORT. BEAUTIFUL THREE BEDROOM PENTHOUSE with TERRACE and SEA VIEWS. The property is ADJACENT to the BEACH and comes with a PARKING SPACE. It is within easy WALKING DISTANCE of SHOPS, BARS, RESTAURANTS and LIDOS. An amazing home. Viewing recommended. 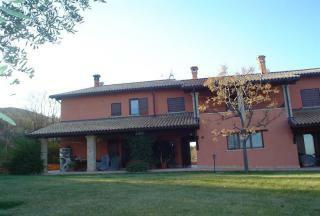 PRESTIGIOUS, FOUR BEDROOM, VILLA located in MONTESILVANO. The property has a GARDEN, BALCONIES, TERRACE and BARBECUE, ideal for AL FRESCO DINING. There are BREATHTAKING SEA VIEWS. The LIVELY ADRIATIC RESORT of MONTESILVANO is CLOSEBY. STUNNING, RESTORED PALAZZO with BEAUTIFUL FEATURES. It is in a PERFECT POSITION, CLOSE to the COAST and within WALKING DSTANCE of a RESTAURANT and BAR. The property has FOUR BEDROOMS and TWO TERRACES, ideal for ENTERTAINING. The PRICE is NEGOTIABLE. SEVEN BEDROOM VILLA which is DIVIDED into THREE APARTMENTS, each with an INDEPENDENT ENTRANCE. 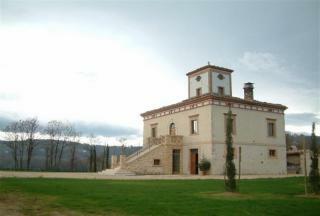 The property is in the COUNTRYSIDE, CLOSE to the COAST, SKI RESORTS and AIRPORT. With all HOME COMFORTS including GARDEN, TERRACES, WI-FI and BARBECUE, it is an EXCELLENT CHOICE for a HOSPITALITY VENTURE. STUNNING, FOUR BEDROOM VILLA with BEAUTIFUL VIEWS, AMPLE PARKING, LARGE TERRACE and SWIMMING POOL. 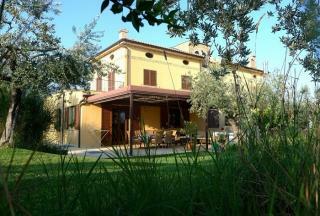 This delightful property is SET within 7 ACRES of OLIVE GROVES and FRUIT ORCHARDS. 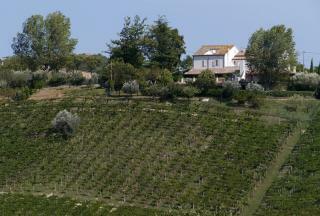 It is BETWEEN the towns of MOSCUFO and PIANELLA and just a FEW MINUTES from the AIRPORT and ADRIATIC. MUST BE VIEWED. 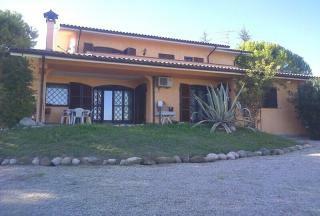 DETACHED HOUSE in the RESORT of GIULIANOVA, just a couple of minutes WALK to the ADRIATIC'S GOLDEN SANDS. It is DIVIDED into TWO APARTMENTS and is ideal for EARNING INCOME from holiday makers. It even comes with its own GARDEN and has POTENTIAL for further EXPANSION at roof level. COMPLEX of STONE BUILDINGS currently operated as a BED & BREAKFAST. The property comprises APARTMENTS, DETACHED COTTAGE and LAND. In total there are NINE BEDROOMS. A perfect opportunity for those seeking a LIFESTYLE CHANGE and the desire to operate their OWN BUSINESS, in a LOVELY LOCATION. PRETTY, THREE, BEDROOM VILLA with FANTASTIC, SEA VIEW. 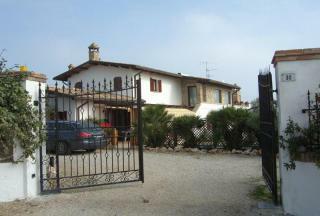 It is in a GOOD POSITION, CLOSE to the BEACH at MONTESILVANO and only 15 MINS to the AIRPORT. The property has a GARAGE, GARDEN and TERRACES for AL FRESCO LIVING. LARGE, FIVE BEDROOM VILLA which is in EXCELLENT CONDITION. 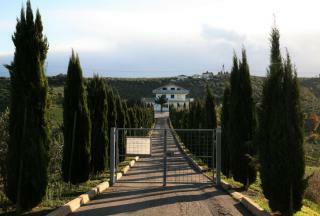 The property comes with GARDEN, TERRACE, LAND, OLIVE TREES and ARTIFICIAL LAKE. 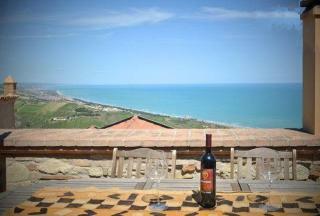 The villa is in the RESORT TOWN of GIULIANOVA and boasts SEA VIEWS. It is only 7 KMS from the BEACH.